It was in 2012 in Karan Johar’s 'Student of the Year' that Alia Bhatt made her debut. Who would have thought back then that Karan’s student has such incredible years ahead? Who would have imagined that a 19 year-old then would reach super stardom in less than five years? Currently aged 24, Alia Bhatt is one of the most versatile actors in the Hindi film industry. With 10 films in her filmography, she has time and again proved that she is the best of her generation and that she is going to give tough times to even the actresses who are older than her. She always nails her characters. She has her nuances and aesthetics in the best place. In one of the interviews of Imtiaz Ali and Alia Bhatt with Ranbir Kapoor, the director confessed that Alia is a soldier! Sure she is! Veera is a girl who comes from a rich high class Delhi home and suffers from Stockholm syndrome. She gets kidnapped and falls in love with her kidnapper itself. And what happens next is a magical experience on-screen. How many of you remember Alia stopping by the road, crying incessantly who looks up to the sky and just utters- “Mahaveer”? There is something magical about Alia’s performance in 'Highway'. Pakistan border in Punjab shows resilience and intense bravery to fight against the kidnappers who have kept her hostage in their house. 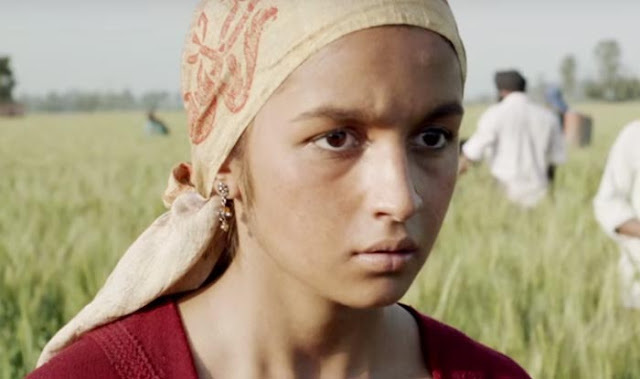 Alia Bhatt in 'Udta Punjab' proves her metal at par with any other actress in Bollywood. Scenes where she is harassed and the other where she falls prey to drug injection are her career best performances. A girl is lost in her life due to failed dreams, unrequited love from parents and a break-up with her lover. Sounds cliché? Well even if it does, 'Dear Zindagi' is a must watch for everyone because Alia pulls off this role really well, and more so that every young person would be able to identify with her character. Alia’s performance surely speaks volumes and after 'Highway' and 'Udta Punjab' this role proves her versatility as an actress. Vaidehi of Jhansi has big dreams but her family is conventional and so is the society. How many times have we seen a girl leave her house on her wedding day to pursue her career in aviation? Alia’s character is so very well written and so effortlessly executed by her that every Indian girl would think of doing want she did. And not once you would question her decision of leaving everything behind in spite of the family’s respect at stake in the society. That’s what Alia does in 'Badrinath Ki Dulhania'. She convinces the audience with her performance. No doubt, Alia Bhatt is one of the most talented and versatile actresses our generation. Sure there are other roles in which she nailed it- 'Kapoor & Sons', '2 States', to name a couple. We must also remember that it’s been only 6 years for her in the industry and yet she has achieved so much that her acting is loved by audience and critics both. These Alia Bhatt movies are a must watch for every Bollywood buff.